Tenugui is not any ordinary towel! Tenugui is used from old times in Japan. Literally it is a cloth to “te o nuguu(wipe your hands), in short, it’s a Japanese “towel”. Though both Tenugi and towels are made from cotton, the way of weaving is different each other. Thus the towels are softer and more absorbent than Tenugui. According to this, we tend to think that “Are towels better than tenugui?” But being softer and more absorbent has demerits as it is difficult to dry and bulky. Though Tenugui is less absorbent than towels, it has a merit as it is less bulky than towels. If you fold a towel and a Tenugui which are the same size, you would definitely be able to see the difference between them. Also towels are not dried soon after only squeezed by hands, but the Tenugui will be dried soon after squeezed by hands and hung out to dry somewhere. And you will become to favor the Tenugui as it will be more comfortable to touch and become pale and tasteful color when you used it more and more. Tenugui is now secretly popular among young ladies as it can be used in other ways than wiping hands and has various pop and cute designs! First, it can be used as wrapping paper. Though paper is usually used for wrapping, when you used Tenugui instead of it, it will look softer and cuter. 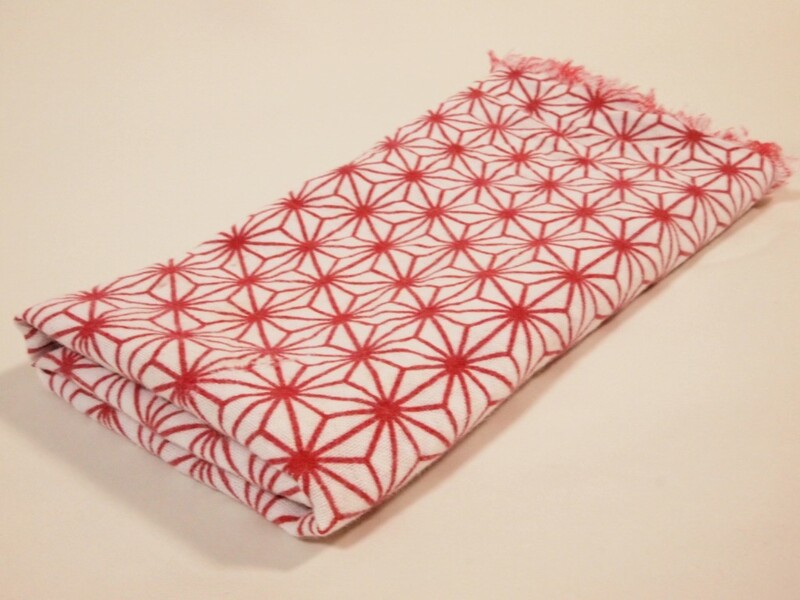 And we tend to throw away the wrapping paper, if you used Tenugui instead of it, it will be another gift! 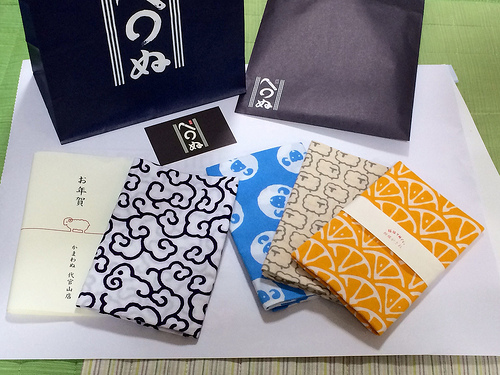 As there are so many designs for Tenugui, choosing it is also fun for us. Second, as interior goods. It can also be interior goods! It can be decent mural decoration when decorated on the wall with a frame or a tapestry in the room. When you spread a Tenugui matching with the dish on the table, it can also be tableware that decorates the table. When you wrapped a tissue box with a Tenugui, it can be a tissue box cover. Other than that, Tenugui can be various things like a plastic bottle cover, a book jacket, and a lunch box wrapper! As it is not bulky, it would be nice to get some Tenugui you like and use each of them according to your mood. Let’s make your original Tenugui! Konyoku Buro is a great place for a date!